While yoga is typically practiced in a studio environment, I love the opportunity to take my mat outdoors. Natural Heat: I usually practice in a heated studio, but when you take your flow outdoors you get heat from Mother Nature herself. Fresh Air: I love building the heat within my body and then getting that fresh reprise from the breeze. It always makes my breath feel even fuller and deeper! There’s also something truly magic about being in savasana and feeling the breeze gently touch your body. New Drishti Points: Do you ever get bored of staring at the same point on the studio wall? Yeah, me too. When practicing outdoors, you can set your gaze on all sorts of things. A palm tree, a cloud, you name it! A Nice Tan: Lacking some Vitamin D from sitting in an office all week? Outdoor yoga is the cure! Just remember to wear sunscreen. Community: Outdoor classes are often free or for a special event which means they bring people from all over to come and enjoy them. I love seeing the community together in a space larger than a studio can contain. 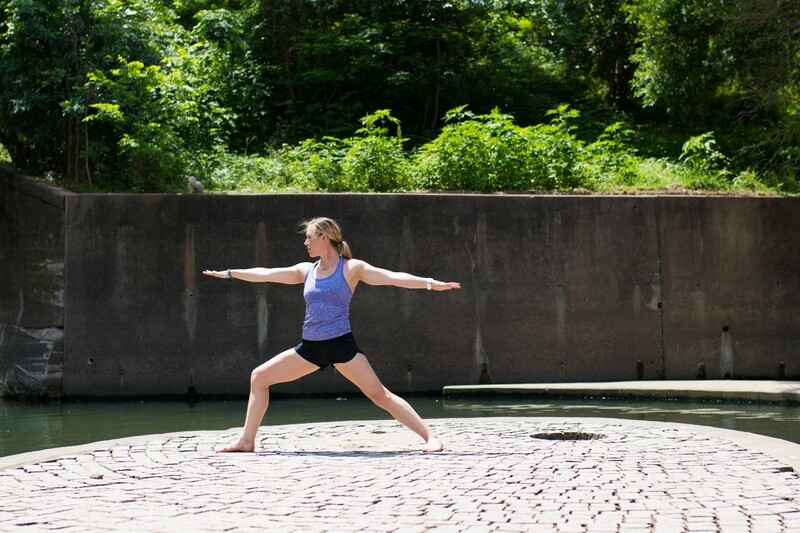 Have you ever practiced yoga outdoors? Why do you love it?